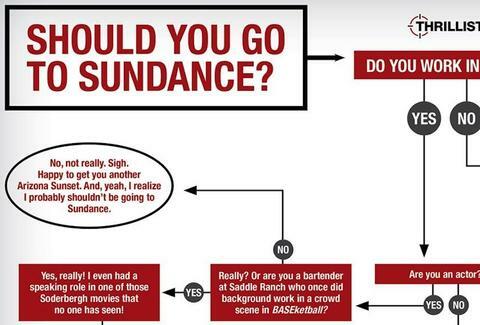 Last-minute flowchart: should you go to Sundance? This weekend is the official kick off to the Sundance Film Festival, which you totally already knew since your social media feeds are absolutely slammed with people whose geotags read, "Park City". What you're not so sure of though: should you be there, too?? Thankfully, we've created this awesome decision tree for Angelenos, which'll let you know whether to catch a Southwest red-eye, or not do that at all.